Why to graft fruit trees? A seed from a Granny Smith will grow an apple tree, but not a produce a tree that will produce a true Granny Smith tree. The brilliance of nature insure genetic diversity of apples. Apple trees for the most part must cross pollinate with different cultivars. This causes the child trees being different form the parent trees. For a true Granny Smith apple tree reproduction, a scion wood taken from a Granny Smith tree is grafted onto an apple root stock. Not just any scion wood can be grafted onto any root stock. Apple must be grafted onto apple root stock. Grafting describes any of a number of techniques in which a section of a stem with leaf buds is inserted into the stock of a tree. Grafting is useful however, for more than reproduction of an original cultivar. It is also used to repair injured fruit trees or for topworking an established tree to one or more different cultivars. Topworking is the operation of cutting back the branches and top of an established tree and budding or grafting part of another tree on it. An undesirable cultivar can be changed by grafting a preferred cultivar to the branches. Cultivars that lack hardiness or have poor crotches (narrow angled) can be made more durable by grafting them on hardy, strong-crotched cultivars such as Hibernal, Virginia, or Columbia Crab. 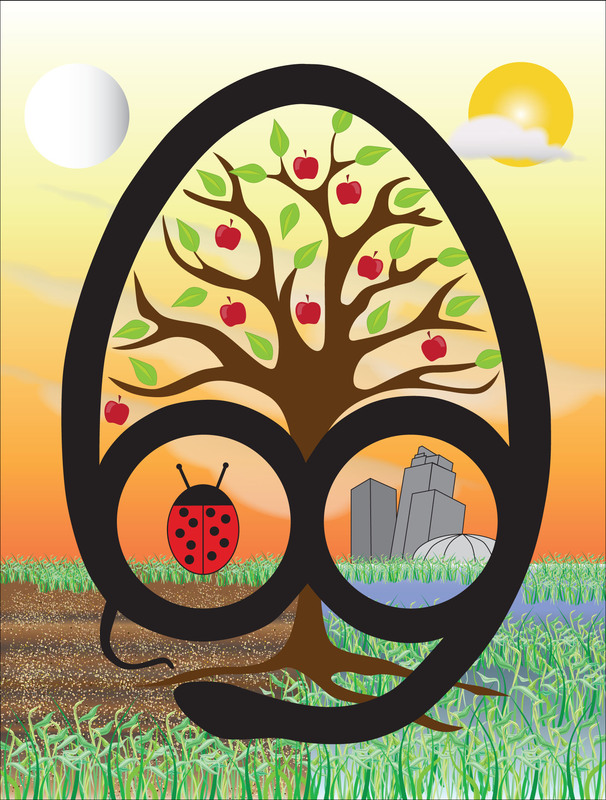 Pollinator cultivars can be grown much sooner by topworking than by planting young trees. New cultivars for trial can be brought into bearing in 2 or 3 years if topworked on stock of bearing age. Interesting novelties can be developed by grafting several cultivars on one tree. Scions are selected from the previous season’s growth, while they are dormant, but before growth begins in the spring. If the scions are left on the tree until spring, however, there is some danger that the buds will start to grow or be injured during winter. 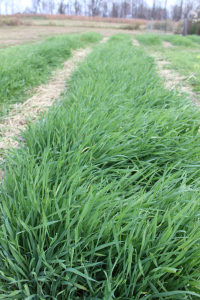 Scions cut in November grow best in Minnesota. The scions should be tied securely, carefully labeled and placed in moist (not wet) sawdust or moss or wrapped in plastic material. They should be kept in a cool, moist place where they will remain fresh and dormant until spring. It is best to graft in the spring, from the time the buds of understock trees are beginning to open, until blossom time. The usual time is April or early May. Grafting your own trees helps to save money when establishment of food forests. I have plans to grows hundreds if not thousands of trees on my three acres, and at $20+ dollars per tree I would need lots of money of lots of time to accomplish this. Instead I am purchasing a few cultivars from apples, pears, plums, and peaches and will then obtain scion woods from them. Then graft them onto rootstock saving tons of money. My plan right now is to get those cultivars started, and get my nursery up and going. Loving it right now, but lots of work is in front of me. Planting a new fruit tree is one of the most exciting times of the season. Images of lushes branches filled with a bountiful of fresh fruit rush into the mind. Maybe you can get enough to make a pie, or press into a nice juice or cider. 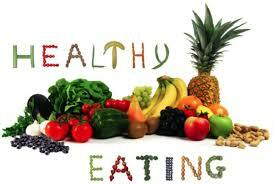 Whatever your fruit type may be, proper shaping and care is essential for the onset and production of healthy fruit. Along with utilizing compost throughout the garden season – the planting of our fall cover crops are one of the biggest reasons we have been able to build the rich and fertile soil in our vegetable garden. 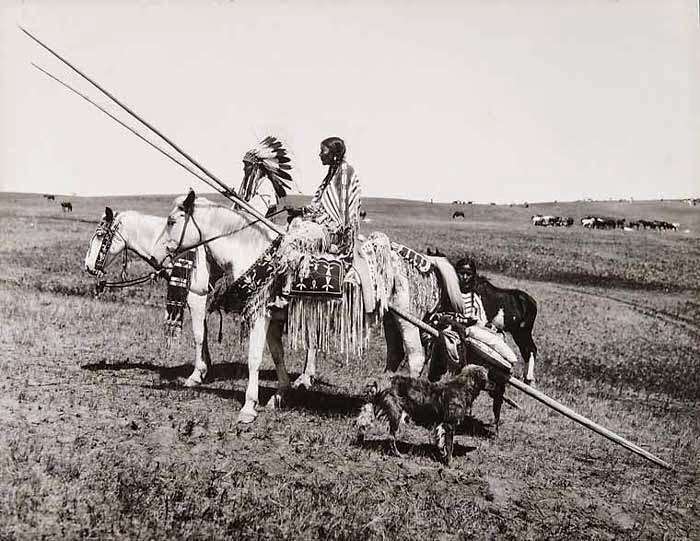 Like his above mentioned contemporaries, however, his native roots were deep, leaving him in the unique position of being a conduit between cultures. Though his movement through the white man’s world was not without “success” — he had numerous movie roles in Hollywood — his enduring legacy was the protection of the way of life of his people. 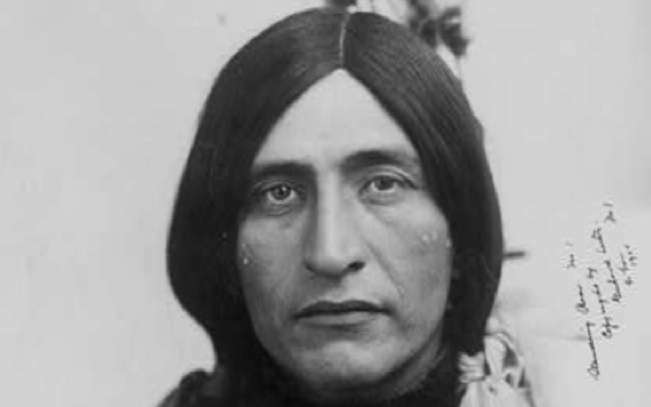 By the time of his death he had published 4 books and had become a leader at the forefront of the progressive movement aimed at preserving Native American heritage and sovereignty, coming to be known as a strong voice in the education of the white man as to the Native American way of life. 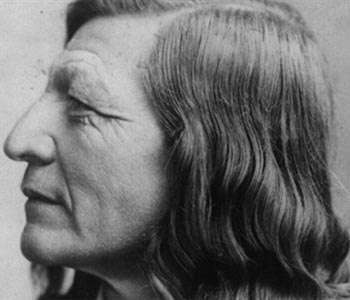 Here, then, are 10 quotes from the great Sioux Indian Chief known as Standing Bear that will be sure to disturb much of what you think you know about “modern” culture. 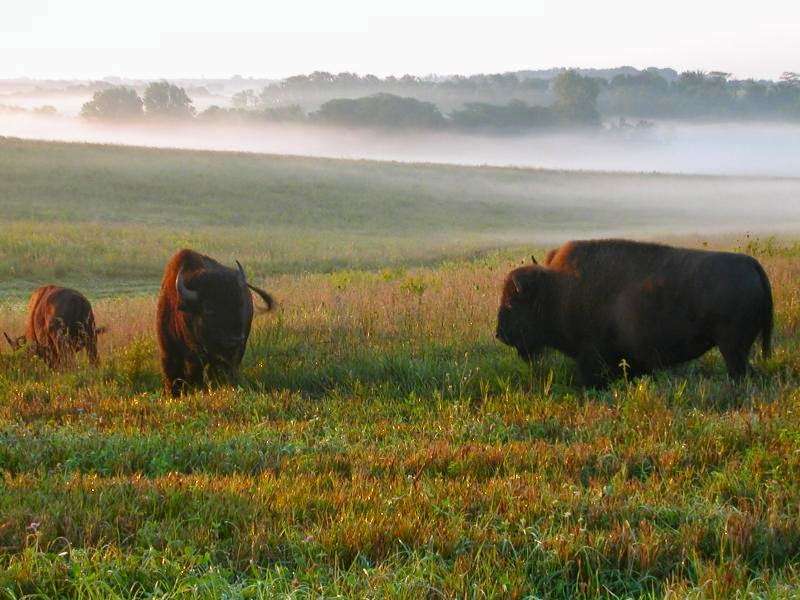 6) This concept of life and its relations was humanizing and gave to the Lakota an abiding love. It filled his being with the joy and mystery of living; it gave him reverence for all life; it made a place for all things in the scheme of existence with equal importance to all. 7) It was good for the skin to touch the earth, and the old people liked to remove their moccasins and walk with bare feet on the sacred earth… the old Indian still sits upon the earth instead of propping himself up and away from its life giving forces. For him, to sit or lie upon the ground is to be able to think more deeply and to feel more keenly. He can see more clearly into the mysteries of life and come closer in kinship to other lives about him. How to make your own jerky is easy and fun. I’ve made several batches now and my own jerky. My whole family loves it. I use rabbit for my jerky. I raise my own meat rabbits, so meat is just a few steps away. First I process 2 or 3 rabbits for a whole batch. This ends up being about 4 pounds of meat before dehydrating. After processing the rabbits, I let them sit for 24 hours in brine( salt water). Afterwards I let the meat age for another 24 hours. This let the meat “relax” and makes for a better quality of meat. I cut the meat off the bone and into 1/4 inch thick strips. Put the strips into a freezer bag and marinate for 24 hours. Place the strips of meat onto the dehydrating trays close together but no touching. Make sure all visible fat is trimmed. Rabbit is very lean meat, and is a good choice for jerky. After 8-10 hours jerky should be ready. It’s very humid here, so it’s takes longer to dry meat in GA. After the jerky has no visible moister preheat an oven to 250 degrees and let the jerky cook for 10 minutes. This insures that meat is germ free. Jerky can then be stored in zip lock bags or mason jars. 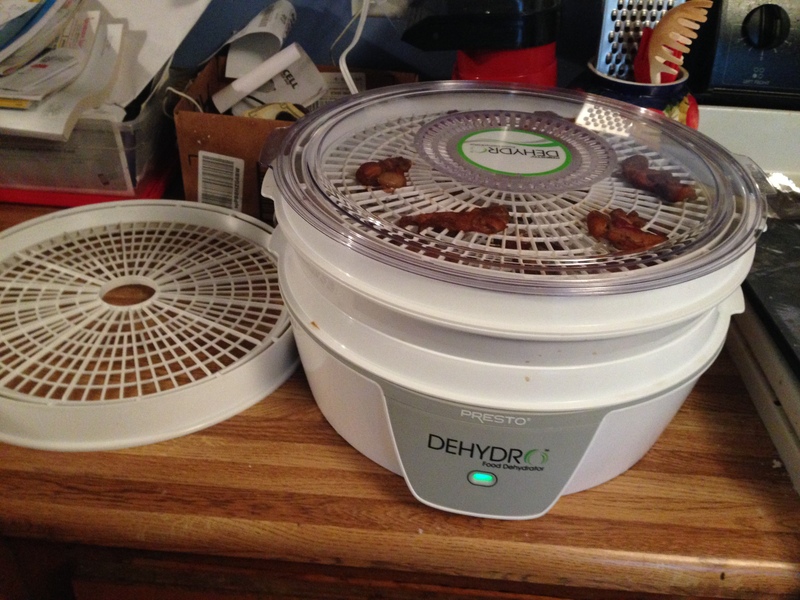 I bought a Presto dehydrator, which is good enough for now. Being only $40 is was much cheaper than other high end dehydrators. Eventually I would like to purchase an Excalibur. The Excalibur cost 2 to 3 times more, but is worth the money. I wanted to get my feet wet before making the major purchase. 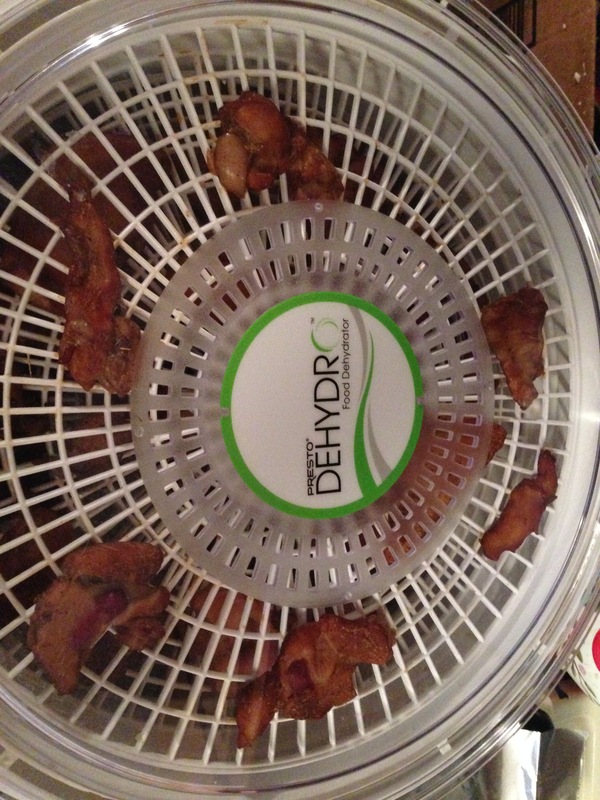 If you don’t have a dehydrator you can set your oven to lowest setting and prop the oven door open.